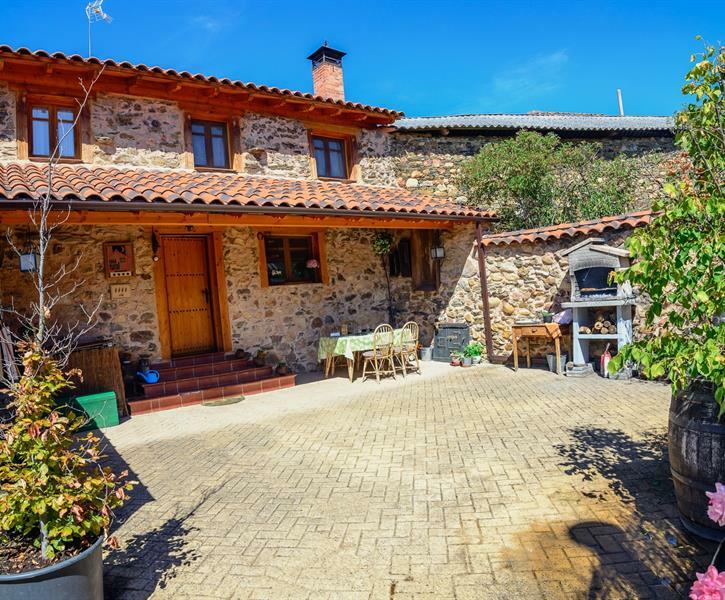 Entre Valles is a full rental Rural House for 2/4 people fully equipped with kitchen, living room with fireplace, bathroom with hydromassage, garden with barbecue ... WIFI connecti. Tarifas IVA incluido. Sin gastos adicionales por limpieza. First i want to say that the welcome was perfect. We had contact with Jesus during the days before our arrival. He was always very polite in his messages and wanted us to feel comfortable during our stay. On the day of arrival at the rural home we were greeted by his wife. She gave us the keys and explained some of thing like the hot tub and where we could find certain guide books or maps, etc. After that she left to Léon (where she and Jesus live). A little bit later (because we were early), Jesus also arrived at the rural house and was eager to write down all the nice places in the region we could visit during the week we stayed there. He was very friendly. Jesus also told us to whatsapp him whenever we needed him during our stay. Great customer service. After that, we enjoyed a quiet en peaceful stay (entre vallés) between the valleys. We picked a few of the sites that Jesus told us to visit and each one was marvelous. We had a great time in Spain and that was certainly also because of the house and the warm welcome. People who worry about the hot weather and what that would do to the in-house temperture. During our stay it was almost every day around 27-29 degrees celsius outside, but inside the temperture would never go over normal room temperture (19 degrees celsius) because the house has thick walls (80cm of stone, wood, plasterboard, etc...). The thickness of the walls made it impossible for all the heat to get inside. Just close the front window shutters during day-time and you will have a pleasant stay. Even during summer time!